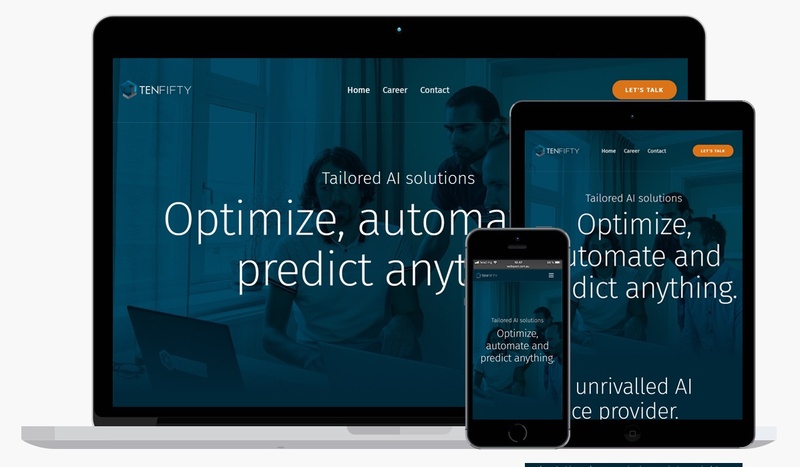 The Gothenburg based company, Tenfifty is a pioneer in the Artificial Intelligence (AI) and data science space. They provide optimisation and automation solutions for various business needs using data crawling, data science and machine learning (AI). They can analyse and predict, structure and interpret data and turn that into a customer service bot or a robot performing endless tasks. Tenfifty is growing rapidly and the new site is therefore key for reaching out to new customers and potential employees. The site has not only a new design and new content, but it is also a starting point for lead generation and lead nurturing. Next step is to add a blog. So if you are interested in this area, stay tuned for the upcoming blog. We are looking forward to seeing more from Tenfifty in the area of data science and machine learning! If you want to keep up to date with the latest news from Zooma, feel free to subscribe to our news alerts.